So this week I’ve been running round getting sorted for Halloween! This weeks hair of the week is a little up do on Millie super easy and a trusty can of pink spray! I sectioned the hair at the front and started to back comb my way through it to about half way back. I then lightly brushed over it to tidy it slightly. I got 3-4 grips and gathered the part I wanted to pin up, twisted it round once and pushed up creating a beehive type style. I pinned as I went securing in place. 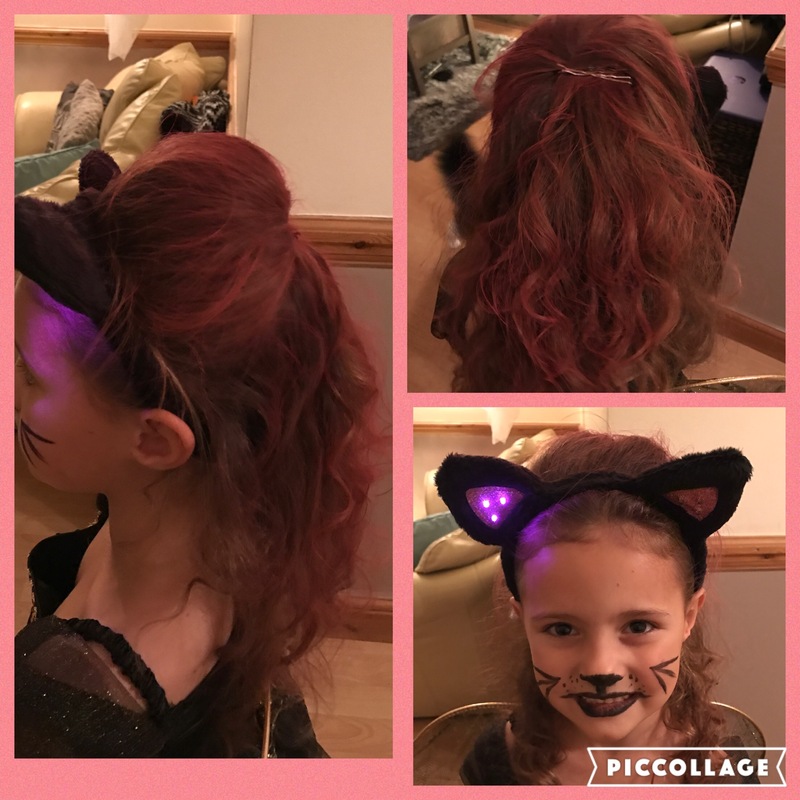 I added some flashing cat ears and sprayed the whole hairstyle pink! Millie wanted the whole lot pink so I did as she asked but you can spray as much as as little as you like! Really simple but very pretty!